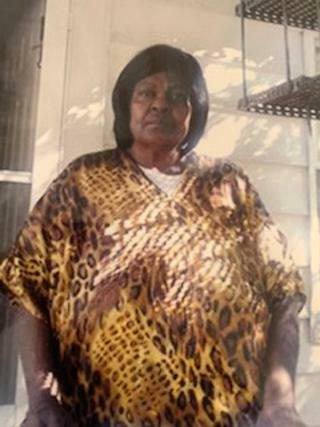 A homegoing celebration for Mary Lillian Turner of Tampa, Florida who passed away on Sunday, March 24, 2019 will be held Saturday, April 6th, 11:00 a.m St. John Progressive M.B. Church, 2504 E. Chipco St., Rev. Dr. Bartholomew Banks, Sr., pastor; Bishop Michael W. Lewis, Sr. Pastor of First Victory Cathedral Church, officiating. The interment will be in Garden of Memories Cemetery. Mary was born February 11, 1942 in Summerfield, Florida. She was a member of First Victory Cathedral Church Inc., where she faithfully served as Mother of the church. Mrs. Turner loved gardening, going to church being with family, cooking and volunteering as a grandparent to support the youth. She was preceded in death by her parents, Edgar Morand and Iletha Morand; brothers, Edgar Morand, Jr., and Larry Morand and sister, Irene Morand Woolbright. She leaves to cherish her precious memories with her children, Leroy Johnson of Ocala, Florida, Richard Johnson, Gloria Johnson Smith, Sylvester Jackson (Yolonda) and LaNitra Johnson all of Tampa, Florida; a host of grandchildren; a host of great-grandchildren; brothers, Melvin Morand (Mary), Elroy Morand (Billie) of Archer, Florida, Lofton Morand (Frankie) of Pontiac, Michigan and Mitchell Morand (Liz) of Decatur, Georgia; brother-in-law, Leonard P. Woolbright of Ocala, Florida; sisters, Alice Morand of Ocala, Florida and Dorothy Morand Ford (John); sister-in-law, Mary L. Morand of Ocala, Florida; a host of aunts, uncles, nieces, nephews and cousins; best friend, Felecia Bryant; god-children, Sierra and Legend; and special love to Potter Elementary School. The visitation will be at Aikens Funeral Home on Friday, April 5th from 5:00 to 7:00 p.m. The family will receive friends from 5:00 to 7:00 p.m. The family and friends are asked to meet at the church on Saturday for the service.